The Casks is not necessarily in the business of posting every press release that floats across my expansive oaken desk, but on the rare occasion when something tickles my fancy and I actually have a spare moment, I like to throw out exciting tidbits such as the news about this new release from Buffalo Trace. If you love bourbon, you know all about the legendary George T. Stagg bottling from Buffalo Trace’s yearly Antique Collection. It’s undeniably sky-high quality and, let’s be honest, it’s undeniably flammable high alcohol content has made this a perennially hard bottle to get ahold of. In the beginning of this year, rumors started circulating that a younger, more widely available version was in the works and whisky geeks started drooling all over themselves as they are unfortunately wont to do. FRANKFORT, FRANKLIN COUNTY, KY (July 25, 2013) At long last, Buffalo Trace Distillery releases Stagg Jr. Bourbon, an uncut and unfiltered bourbon whiskey with a renowned family name. George T. Stagg is one of the legendary craftsmen of Buffalo Trace Distillery, and is responsible for building the most dominant American distillery of the 19th century on the banks of the Kentucky River, now known as Buffalo Trace Distillery. In 2002, Buffalo Trace introduced George T. Stagg Bourbon Whiskey, an uncut, unfiltered bourbon that has won numerous awards including World’s Best North American Whiskey, Number One Spirit in the World, and World Whiskey of the Year. Now the Distillery is offering a line extension through Stagg Jr. that still maintains the integrity of the brand – a big, bold whiskey bottled at barrel proof but at a more affordable price. Stagg Jr. will be available starting in August. Suggested retail price is $49.99 for a 750ml bottle. Buffalo Trace Distillery is a family-owned company based in Frankfort, Franklin County, Kentucky. The Distillery’s rich tradition dates back to 1786 and includes such legends as E.H. Taylor, Jr., George T. Stagg, Albert B. Blanton, Orville Schupp, and Elmer T. Lee. Buffalo Trace Distillery is a fully operational distillery producing bourbon, rye and vodka on site and is a National Historic Landmark as well as is listed on the National Register of Historic Places. The Distillery has won seven distillery titles since 2000 from such notable publications as Whisky Magazine, Whisky Advocate Magazine and Wine Enthusiast Magazine. It was named Whisky Magazine 2010 World Icons of Whisky “Whisky Visitor Attraction of the Year.” Buffalo Trace Distillery has also garnered more than 200 awards for its wide range of premium whiskies. To learn more about Buffalo Trace Distillery visit www.buffalotracedistillery.com. The real fight with these types of releases is knowing which distributors are getting it and where are they sending it. Even then, it’s in very small allotments and many company employees buy these expressions before they even hit the shelf. With research getting one can be accomplished, but not easy. …and thanks for the comment, definitely appreciate hearing from you. Ohhhh! This IS exciting news! Thanks for sharing Peter! Whiskey geeks drooling and lusting is the life-blood of the industry now! I’m not sure of the exact date, I think it may be hitting shelves now in some markets. Nice, I’ll have to keep my eyes open for these! 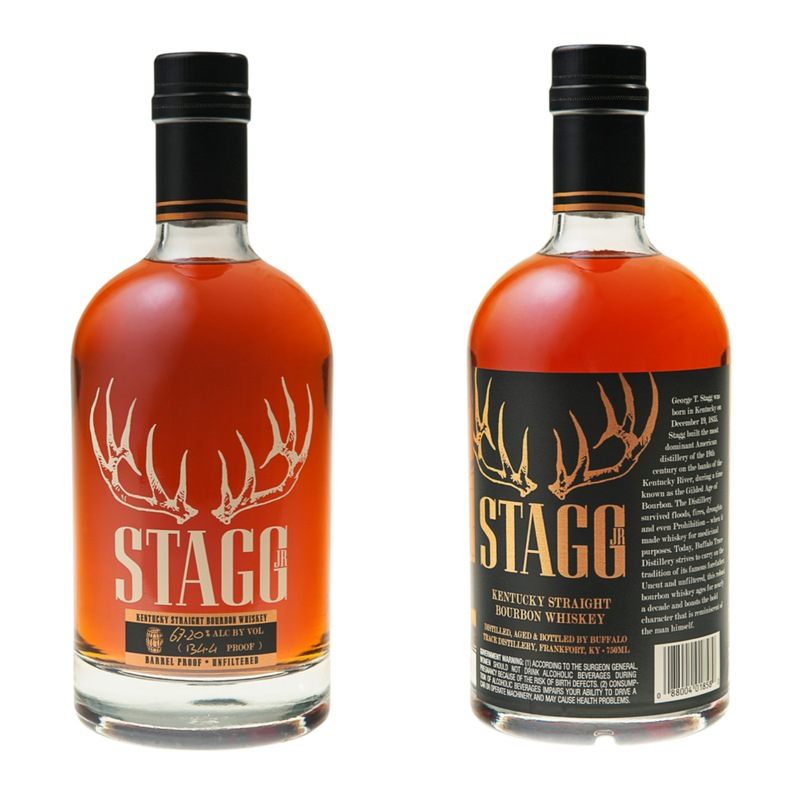 Just heard from Buffalo Trace that Stagg Jr. will be available beginning at the beginning of August…though exactly when will depend on your location. Nice! I’ll keep my eyes peeled for the next few weeks.